For over 40 years, Aardman has entertained and charmed the world, creating much-loved characters and bringing unforgettable stories to life. From humble tabletop beginnings in the 1970s to one of the pre-eminent world leading studios today, Aardman has earned a unique place in the history of film and animation. In this special event, the festival will host the UK Premiere of new 4K restorations of Aardman’s earliest films: the two films from Animated Conversations (1977) and the five films from Conversation Pieces (1983). 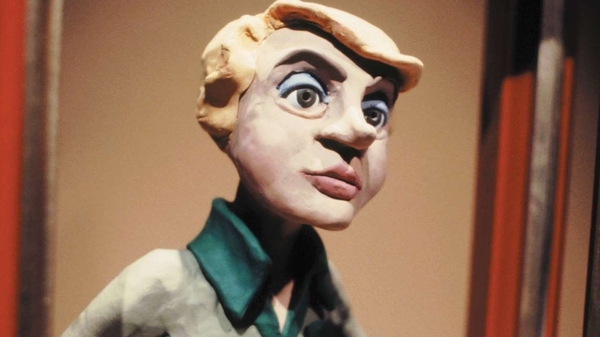 Originally commissioned by the BBC and Channel 4, these films enabled Aardman founders Peter Lord and David Sproxton to develop the innovative technique of animating puppet characters to real-life conversations. With films like Early Bird (set in a local radio station), Aardman demonstrated that real people could be characterised with insight, humour and sensitivity. With an introduction by Aardman Archivist Tom Vincent and Aardman Co-founder David Sproxton. The third edition of Cinema Rediscovered celebrates Bristol's new status as UNESCO City of Film, a global recognition of the city's outstanding contribution to film culture. Join us for the third edition of Cinema Rediscovered - a chance to discover some of the finest new digital restorations, contemporary classics and film print rarities from across the globe where they were meant to be experienced - on the big screen. Black Pyramid 25th Anniversary: which way forward? Twenty-five years on, Ian Sergeant, a founding member of Black Pyramid Film and Video Project, reflects on the history and legacy of black British cinema in the UK and the role Black Pyramid Film Festival played. View Black Pyramid 25th Anniversary: which way forward?